How Is Your Life Of Pi (e)? Here is an example of the “dream” pie of my life. Perfectly balanced in all the important areas that I consider vital for a content, healthy, well-balanced life. However, wishing does not make it so. Sometimes it feels like my slices are in total chaos, always in motion, first shrinking then growing huge. Is this a case of “who’s on first?” While I would love to say that I am able to handle each slice equally, it’s just not true. How do I choose which slice to eat that day? Health? Whoops, I am late for work, no breakfast! Stress management? Nope, I am late for work and running like mad! Fun and Play? Yes, of course, after I finish working. I am beginning to bore myself, so I decided to take an objective look at what is really important right now, what will be important in the future and how do I divide up my pie to include a bit of each slice daily or at least weekly? 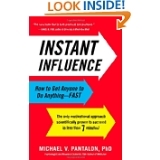 During a recent coaching webinar, we were asked to read “Instant Influence” by Michael Pantalon. Michael’s 7 minute motivational technique had proven it was possible to discover how to balance my pie, slice by slice. It all started with asking myself the question, WHY, followed by 4 more whys in order to keep digging deeper into my truth. Answering each why with brutal honesty would bring me to my true motivators for deciding where to spend my focus, time, energy, money and feelings. Getting to the “real” truth was crucial to avoiding the easier jump to the “how” of accomplishing my balanced pie, and neglecting my deepest reasons for balancing my pie of life. 3) Why? (hey, this answer wasn’t a good enough reason for me at this time of my life) i.e. perhaps know myself more deeply? Well, I needed one more why! Because my greatest wish is to die without regrets, laughing all the way. While my pie may never be perfectly balanced, I never want to stop discovering how I might change my pie to find more contentment and fewer regrets. Why not take the “why journey” into one of your slices?